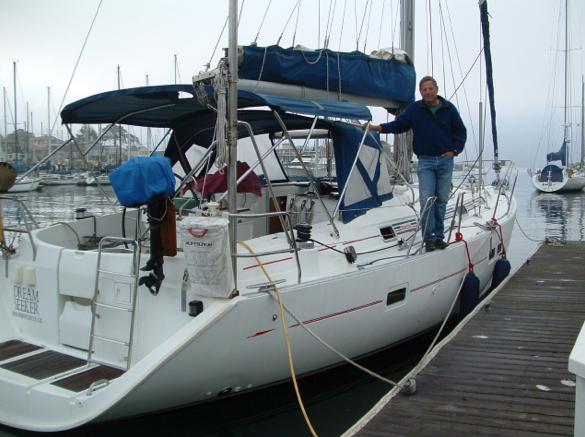 After almost two decades of owning and sailing a Ranger 26, followed by an Islander 36 in the San Francisco Bay and Sacramento Delta, I finally bought a new Beneteau 411 sloop and started the long process of preparing her for long range cruising. Dream Seeker started out this two-year odyssey on October 5, 2003 by sailing under the Golden Gate Bridge and “turning left.” It is with no reservation that I attribute the hopes and dreams of this trip to years of faithfully reading the inspiring pages of Latitude 38, a worldwide, very popular locally published sailing magazine. Having been a professional bass player and high school instrumental music teacher in the Bay Area for many years, I quickly found that being a musician opened many doors for me during my travels around Mexico. After spending the night anchored at Pigeon Point, my crew and I headed for Monterey and promptly lost the use of our autopilot. As a result, we ended up hand steering from that point to San Diego where it was eventually replaced. The trip down the coast was fairly normal for that time of year. The only real delay was that we holed up in the Monterey Marina for close to a week while waiting for a weather system to clear. Our stops down the coast included Pigeon Point, Santa Cruz, Monterey, Morro Bay, Santa Barbara, Paradise Cove, Avalon on Catalina Island and finally, the Police Dock in San Diego where we spent ten days preparing Dream Seeker for the 2003 Baja Ha Ha. In San Diego, my crew was replaced by three very good friends who joined me for the trip to Cabo San Lucas. We had a wonderful trip down the coast of Baja, along with the 130 plus boats that we joined for the Baja Ha Ha, thanks to the great job that the staff did before and during the trip. We unfortunately won the Baja Ha Ha Award for tearing the newest spinnaker. 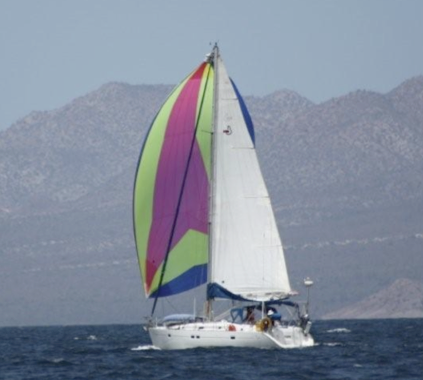 Fortunately, we were able to get the spinnaker repaired later when we got to Puerto Vallarta. From Cabo, we buddy boated with our friends, Tracey and Julie from Eagle Dancer. We crossed the Sea of Cortez and spent a couple of enjoyable days in San Blas, and then headed south, spending the night anchored at Rincon de Guiabitas before arriving at the Paradise Village Marina in Banderas Bay, a few miles north of Puerto Vallarta. I took the bus to Guadalajara and then flew to Mexico City and back to Puerto Vallarta. This very enjoyable sightseeing trip lasted about a week. After interviewing three potential women for crew, Gayle joined me while we continued buddy boating with Eagle Dancer. 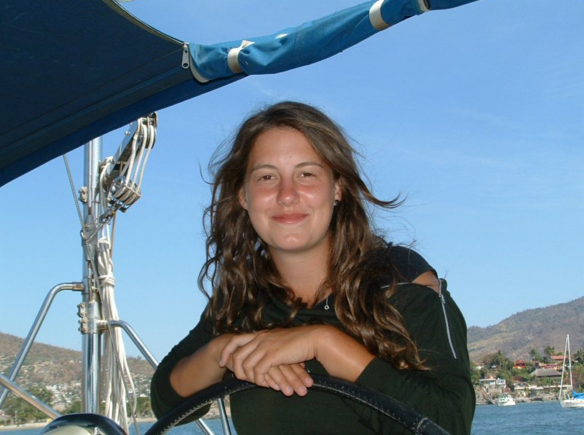 Gayle is originally from Australia and had also sailed down on the 2003 Baja Ha Ha. We left Paradise Village in early January and anchored in La Cruz for close to a week, waiting for another weather system to blow by. 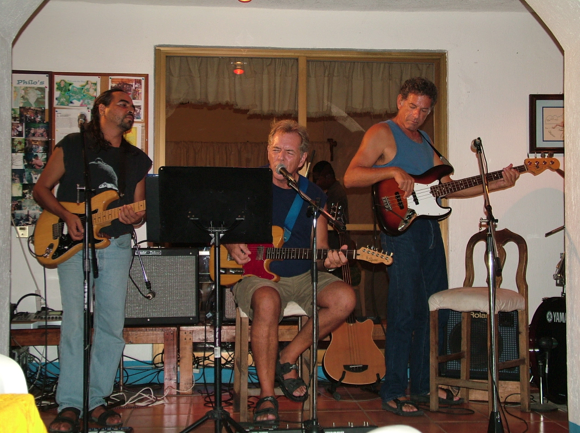 During that time, we went into La Cruz to Philo’s Bar almost every night so that I could sit in with the band. Finally the weather cleared and we headed out around Cabo Corrientes at the south end of Banderas Bay and down the Gold Coast, bound for Chamela where Gayle departed the boat. Still buddy boating, I happily single-handed to Tenecatita and eventually Barra de Navidad. After anchoring in the lagoon, we went into town where I was befriended by the members of a Mexican rock/blues band called the “Texas Meatballs” and ended up joining the band, playing four nights a week on keyboards for three weeks. While there, I was introduced to Marie-Eve who was a twenty-year-old woman from Quebec traveling on her own around Mexico. After talking with her for a while, she decided accept my invitation to crew aboard Dream Seeker for the rest of the voyage south to Zihuatanejo. During that trip, we spent time anchored at Los Hadas (I had to replace my entire battery bank there) near Manzanio, a few wonderful days in Maruato, and a couple of days in the anchorage of the small town of Calleta de Campos. 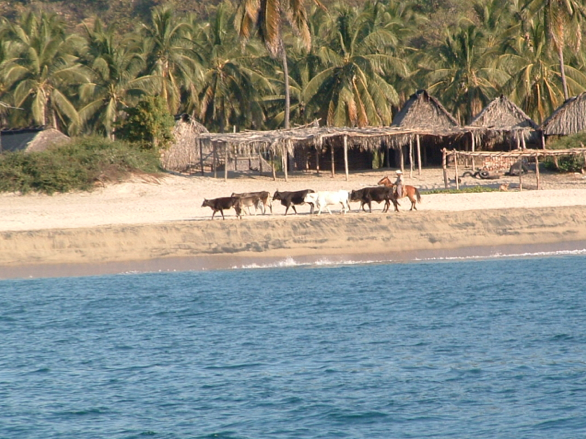 Next, we anchored on the northeast side of Isla Grande, just out of Ixtapa, a wonderful island with a few palapa restaurants and excellent snorkeling on the south side of the island. We found it was a great place to dive on the boat to clean the bottom. This, we did in the morning followed by snorkeling in the afternoon. 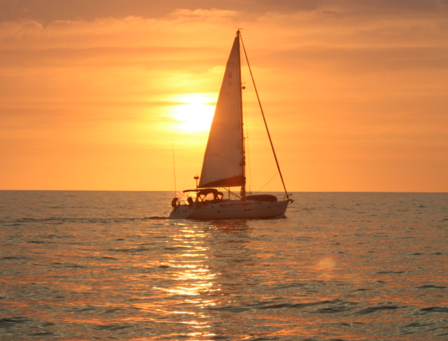 From there, it was only a three-hour sail downwind to our most southern destination, Zihuatanejo. Dream Seeker spent three great weeks there and I ended playing bass practically every night at Rick’s Bar, primarily with Josie Kuhn, a mainstay at Rick’s during the season and a Nashville recording artist who is an outstanding vocalist/songwriter/guitarist. Joining us during that time was Kurt from Gumbo Ya Ya who is a great drummer. Kurt and his wife, Nancy, left for the Puddle Jump (crossing the Pacific Ocean to the South Pacific) on the same morning in March that Dream Seeker started her four-day jaunt back to La Cruz with good friends, Anna and Pete, as crew. After anchoring in La Cruz, my life took an unexpected turn, ending up being a wonderfully enriching and exciting experience. I resumed sitting in with Philo’s band on bass from March until May. At that point, Philo offered me his air conditioned room and some extras, in trade for me playing in his club during his absence while he sailed his boat from Fiji to New Caledonia during the summer months. 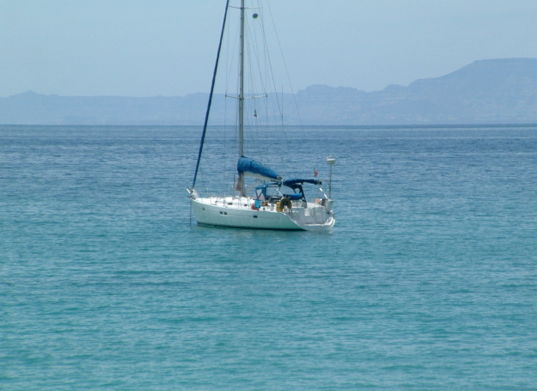 I happily accepted his offer, my other option being to sit at anchor alone, baking in the sun in the Sea of Cortez. During that time, I ended up playing several nights a week at Philo’s with three different bands. Dream Seeker was moved to a “protected” dock behind a private home behind Paradise Village for the hurricane season. On September 11th, during one of the region’s fantastic thunder and lightning storms, Dream Seeker was struck by lightning. I eventually found out that the strike fried all of her electronics. This was only a few days before I went north on a preplanned trip to visit my son, Todd, in Boulder, Colorado for a month. Upon my return, I started the long process of getting my boat back to cruising mode. Since I couldn’t live on the boat without electricity, Philo, who had returned from his cruise in the South Pacific, generously offered me a room at his place in trade for continuing to play with his band on keyboards. It was at this time that I bought a 1999 Mexican (old style) VW bug to aid me in getting around Banderas Bay. When I left home, my plan was to travel from one anchorage to the next, staying between one night and three weeks at each place, depending on my whim at the time. Having now spent about a year on land in La Cruz, I felt as if I’d become part of the community there. Living in a small town was a new experience for me and I must say, I thoroughly enjoyed my time there, having made many great friends of both ex-pats and the locals. It had such an influence on me that I had hoped to return in a couple of years to use this area as my home base, possibly buying some land, while I continued cruising on my boat. 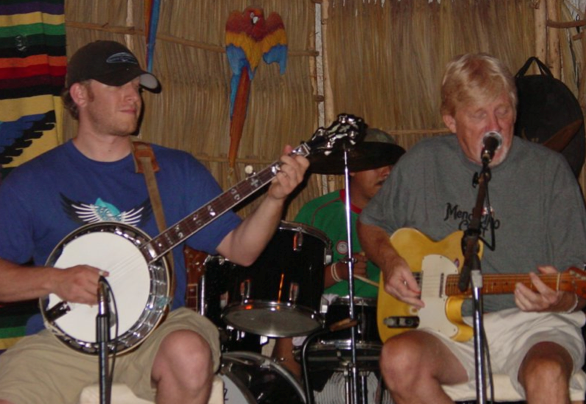 Having played music for so long at Philo’s, offered me the opportunity to play with some great people who very quickly became good friends, one of which was Latitude 38’s own, Banjo Andy. Wednesday night was open mic night and, as a result, many talented visitors and locals sat in with the band. It was one of the most popular evenings of the week in the small town of La Cruz de Huanacaxtle. In December of 2004, I went home to the San Francisco Bay Area for the holidays. During that time, I purchased most of the electronics that were damaged and started the long process of researching how to best get them delivered to me in Puerto Vallarta. 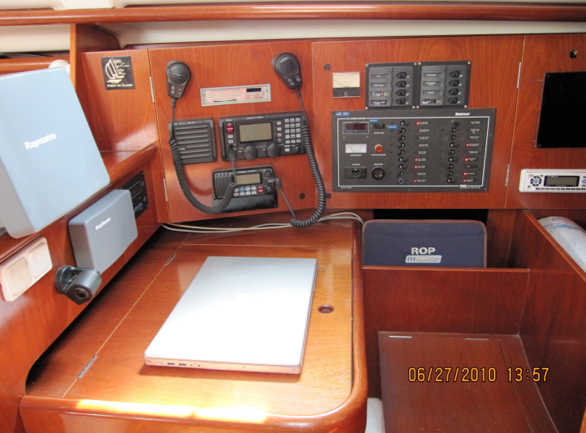 Knowing of my insurance policy’s requirement of having a particular grounding device installed on my boat, otherwise, my $4,500 deductible would be doubled, I had consciously chose not to spend the time and money. This ended up being a very expensive decision. Through extensive research, I found out that, in order to ship items to Mexico from the U.S., one of the best ways was to find a “freight forwarder” in the San Diego area who had the gear flown to Tijuana and then directly to Puerto Vallarta to be delivered directly to me. This took care of the usual problem of the merchandise going to Guadalajara and quite possibly, never getting to me. In mid March, I drove the VW inland to visit the towns of Tepic, San Miguel el Alto, Guanajuato and San Miguel de Allende. This was a fantastic, eight-day excursion. I had the opportunity to view the landscape and art, improve my “Spanglish” with new acquaintances and sit in with a jazz group that was playing in San Miguel de Allende. I had the new electronics installed by late March, thanks to the diligent efforts of a great marine electrician, David from Malahia. When David finished working on the boat, I anchored it in La Cruz. A few days later, my son, Todd, came for a relaxing and fun five-day visit. On May 3rd, I single-handed Dream Seeker from La Cruz to Isla Maria Isabelita, off the coast of San Blas, and then Mazatlan. John Mummery, a good friend from the La Cruz area, met up with me in Mazatlan and we continued on across the Sea of Cortez to La Paz, several wonderful anchorages along the Baja coast, Santa Rosalia and finally to San Carlos to truck the boat home. Dream Seeker arrived in Richmond, CA at the end of the first week in June. In the Fall, I returned to my teaching job at Albany High School in the East Bay. I was already looking forward to the next time Dream Seeker could venture out for a longer period of time. I taught for two more years and then retired from public school teaching and, with good friends, again headed south, in September on Dream Seeker, to join the 2007 Baja Ha Ha. We had a great trip down the coast of California and Baja, Mexico to Cabo and then finally, across the Sea of Cortez to La Cruz de Huanacaxtle. La Cruz became my home base again while I cruised as far south as Zihuatanejo and as far north as Santa Rosalia in the Sea of Cortez over the next two years. Finally, I happily sold the boat in May of 2010 and began living on land, half the year in the La Cruz area and the other half of the year in San Miguel de Allende. 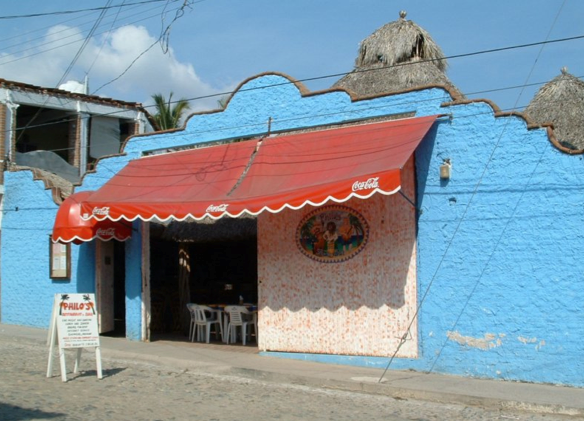 The most wonderful and magical aspect of this experience was meeting my wife in La Cruz de Huanacaxtle on May 13, 2010 at Philo’s Bar. Needless to say, I was a very happy man, having found a beautiful, bright and loving Mexican woman who has brought me more than my share of happiness. 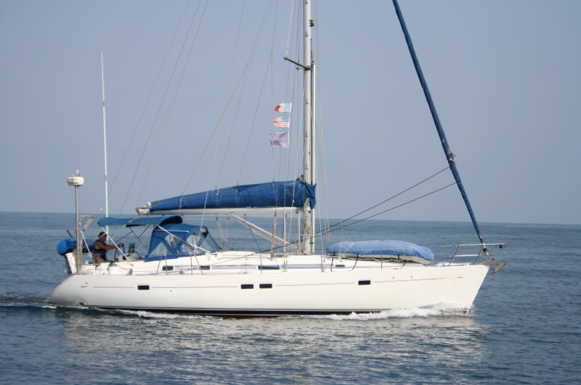 A few days prior to meeting Patricia, I had put Dream Seeker up for sale and therefore had her in the marina in La Cruz. 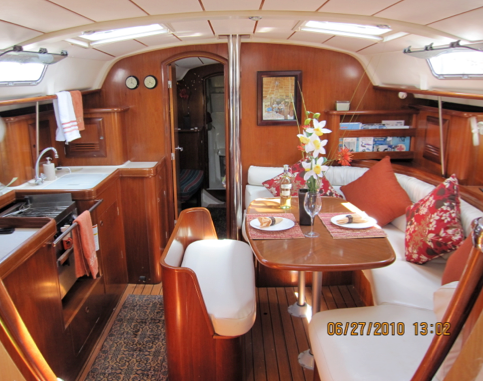 The two of us soon drove to San Miguel de Allende to spend the summer months and returned in the Fall to spend the high season living aboard Dream Seeker until she sold in May of 2011. 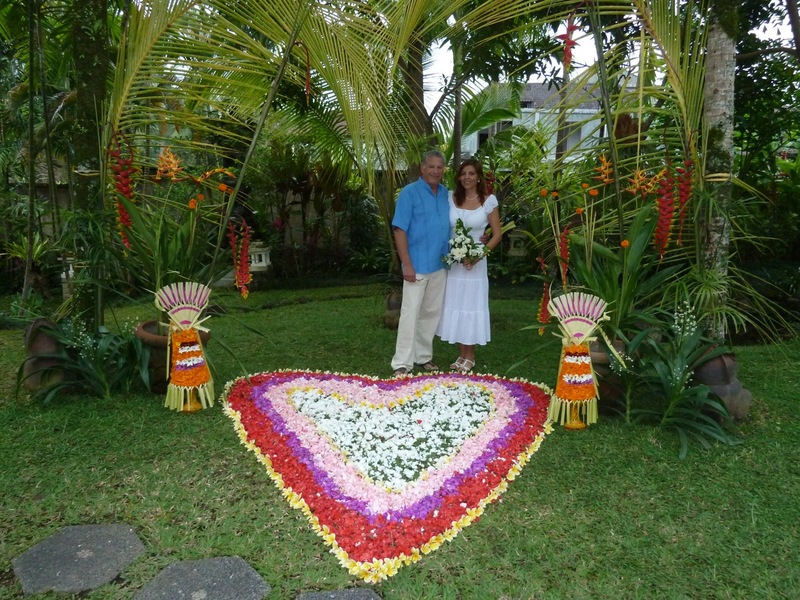 Patricia and I were married in Bali on March 9th after I had played the Java Jazz Festival in Jakarta Indonesia. 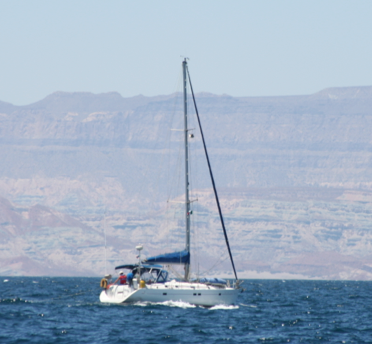 Dream Seeker, during a race in the Sea of Cortez, about twenty miles north of La Paz, Mexico in the Spring of 2008.